Want to be part of a team that creates movies or video games that captivate an audience through story-telling and creativity? Do you believe that learning 3D animation is a critical step in achieving that goal? In this career-focused program, students work with industry standard software to gain valuable skills in the fields of animation and video game design & development. This program introduces students to the techniques and methods for creating 3D animation and effects using Maya, the industry standard software. Maya is one of the world’s most powerful integrated 3D modeling, animation, effects, and rendering solutions in the video game design and development industry today. Using Maya, students explore ways to model, texture, animate, and render creative environments while also creating a portfolio that showcases their creativity and their skills. Digital Arts and Computer Animation OAD grads can compete for entry-level work in a variety of animation-related fields including film and video creation, video game development, and graphic design. Demonstrate proficiency with a variety of digital art and computer animation software programs. Sculpt and model 3D Objects. Create and edit a variety of texture types and images. Create advanced materials utilizing physically-based rendering workflow to be used with rendering engines. Demonstrate the ability to adjust and modify rendered images together with various compositing techniques. Create 2D and 3D assets to construct various video game levels using modern day game engines. The Standard Occupational Classification (SOC) system is used by Federal statistical agencies to classify workers into occupational categories for the purpose of collecting, calculating, or disseminating data. 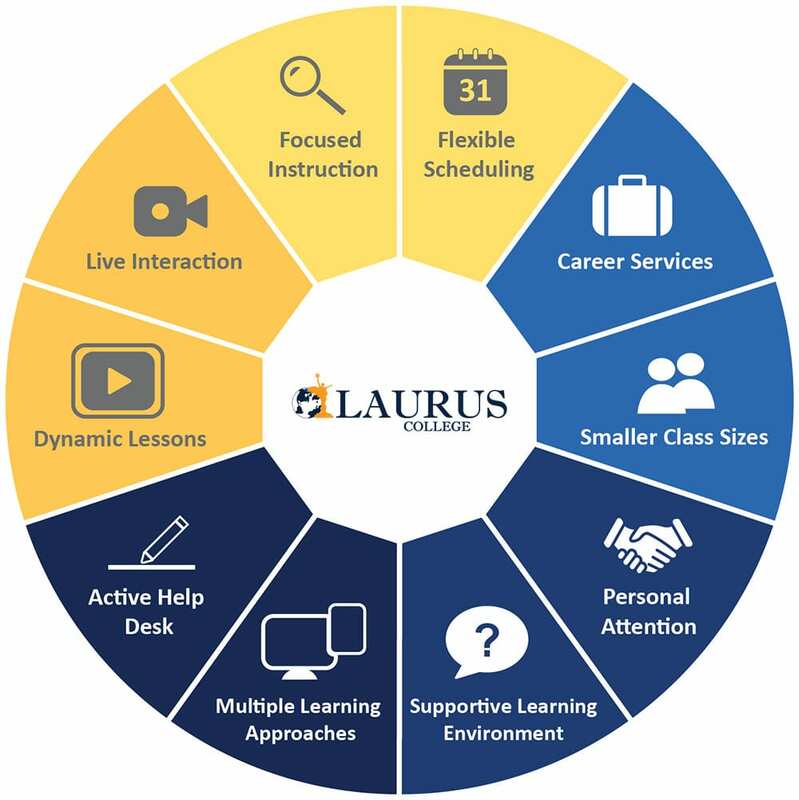 The Digital Arts and Computer Animation Occupational Associate Degree Program offered at Laurus College can help prepare graduates for a variety of careers that include, but are not limited to the list of careers that may be listed under the following SOC codes (for more information on a particular SOC code, visit the SOC website). creations, such as computer games, movies, music videos, and commercials. engaged in art work or layout design. That means you’re in control of your learning experience. All you have to do is get the ball rolling. 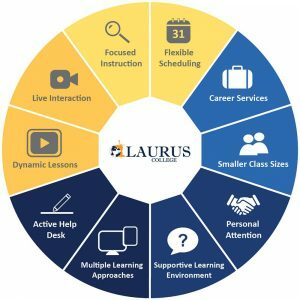 And training with Laurus for a profession that makes use of digital arts and computer animation, with all our dedicated support from Day 1 till you land that dream job, is a smart choice. This course examines decision making, strategic thinking, and communications for complex issues. Students will demonstrate the ability to recognize different approaches to developing written action plans for solving today’s issues in the modern age. This course introduces students to the basics of visual effects and animation, and gives students the first stage to begin animating in 3D using the Maya software. The word “Dynamics” refers to the mathematical solutions for physics-based animation, such as the way objects collide or the way particles flow. Students in this course study many of the basic procedures used in building a dynamics system. Students begin exploring rigid body dynamics, constraints, and optimization. Students gain an understanding of particles and their use in creating effects such as fire, smoke, sparkles, and even flocks of models like insects. This course gives students in depth looks at character development, rigging, animation, and the different modeling strategies available in Maya. Students study advanced character creation, as well as curve and surface modification. Students work with advanced shading and texturing techniques, and learn further control and applications of the Maya software. Students further enhance their rendering, dynamics, and modeling skills, using these skills to create advanced video game effects. This course will take students through the fundamental techniques associated with taking video image sequencing, adding 3D camera match moving and compositing. Topics covered in this class may include compositing video image sequences with 3d actors, environments, light, cameras, VFX and key color removal such as blue and green screens, computer video editing, and adding Titles and closing credits. This intensive course introduces students to the Maya software and will cover the basics of 2D and 3D animation, and how Maya software is used to create animation in video games. This course familiarizes students with the menus, panels, and tools they will use in the Maya software. Students grasp the basic concepts of Maya and will use knowledge gained in this course as the foundation for future courses in this program. This course introduces students to creating a video game using the Maya software. Students focus on the methods and techniques on how to effectively use the tools to produce 3D polygonal games within the Maya environment. Students design a video game character, create environments with backgrounds, and produce the animation to apply to their game creation. Students will review character modeling and animation techniques, as well as rendering techniques, and apply them to motion and control. Students work with various levels and effects to create a fun and exciting final game product. This course introduces students to the World Wide Web. Students examine the history of the web and how its development has shaped the ways people do business and advertise. Students gain an understanding for the complexity of the web and how servers, users, and databases all work, search, access information, and download simultaneously. Topics in this course may include the basics of HTTP, FTP, HTML language and tags, coding styles, links, image placement, and image maps. Students learn the importance of web page appearance and navigation. Students are introduced to the basics of initial web page planning and production, and learn key terminology applied to web page creation and implementation.